Class IV-V Big Water Remote Alaska River Trip! The Next Big Alaska Whitewater River! 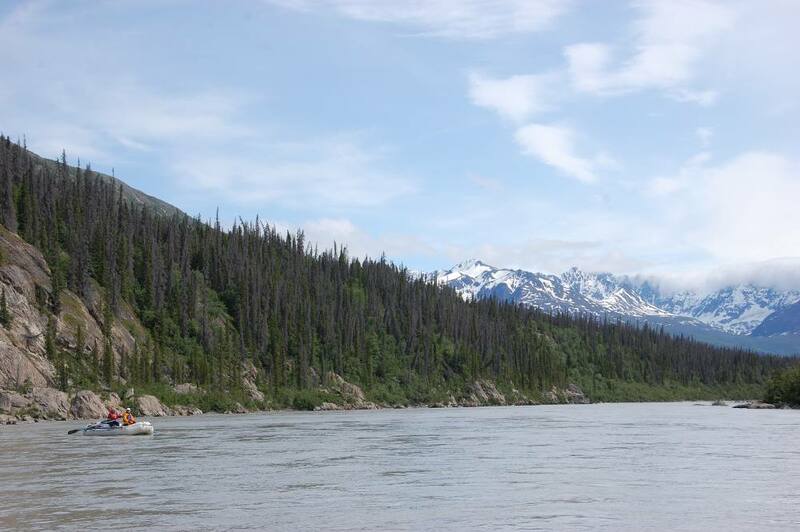 The Tana River is the crown jewel of remote Alaska white water rafting in Wrangell St. Elias National Park & Preserve. 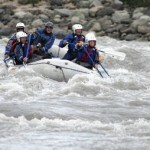 Known for it’s large volume and even bigger rapids , it is often compared to Grand Canyon in style and size, the rapids provide excitement that any adrenaline seeker can sate themselves with. Being remote and untamed, the Tana offers the boater and adventure seeker the embodiment of Alaska whitewater… big, fast, and cold! At 36 miles in length, the Tana offers a lot in a short distance. 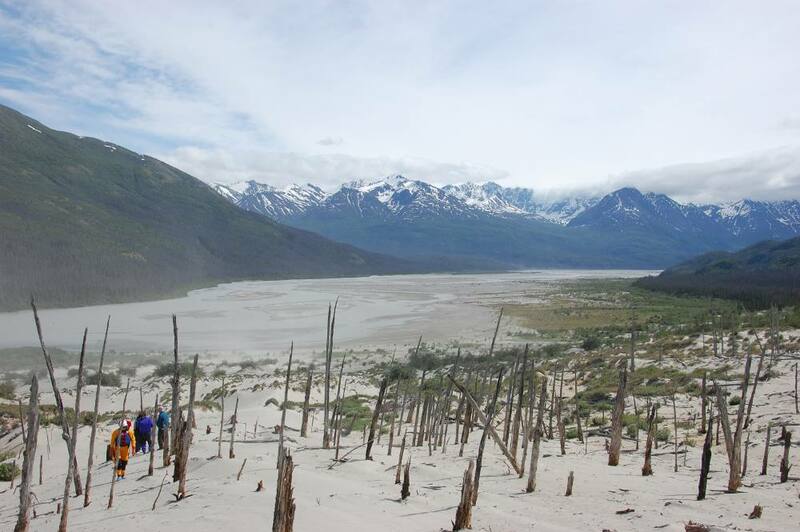 The Tana River isn’t just about rapids though, offering soaring views of both the Wrangell and St. Elias mountain ranges, the Tana offers as much in natural beauty as it does in large whitewater. 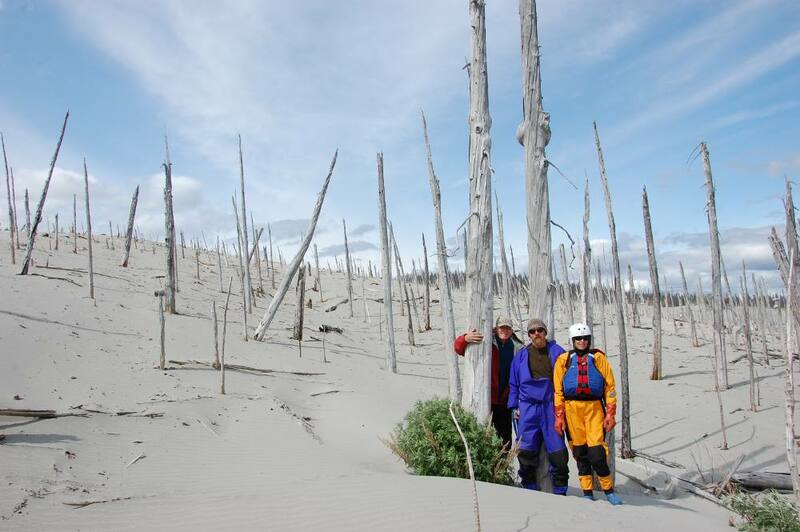 Class IV Whitewater, rolling sand dunes, spotting Grizzly Bear, Dall Sheep, and perhaps one of the Wrangell’s herds of bison, this trip is perfect for the adventurous at heart. Check out our Tana Expedition Video! We created this video to whet your appetite! Starting with a bush plane drop off down-stream the Tana Glacier, the Tana River rumbles its way down towards the ocean. We’ll begin our trip by exploring the surroundings of this beautiful and unique area. 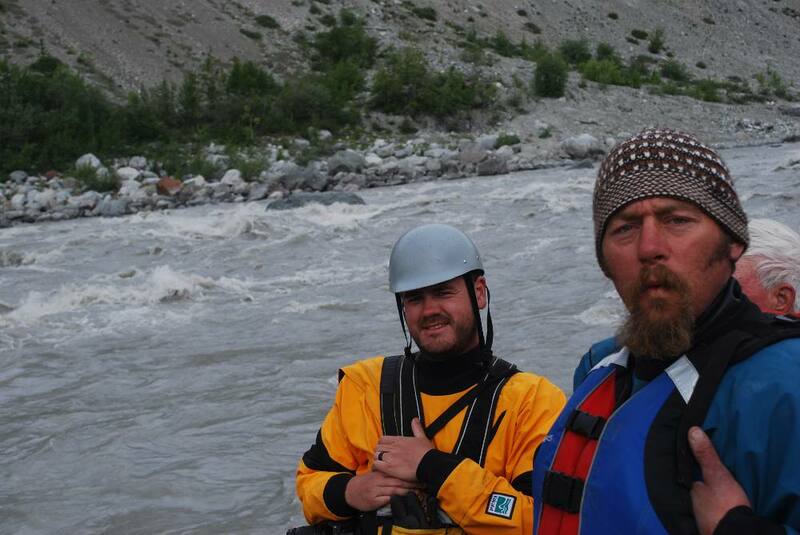 The first day on the river is fairly mellow with some smaller rapids getting us ready for the power ahead. 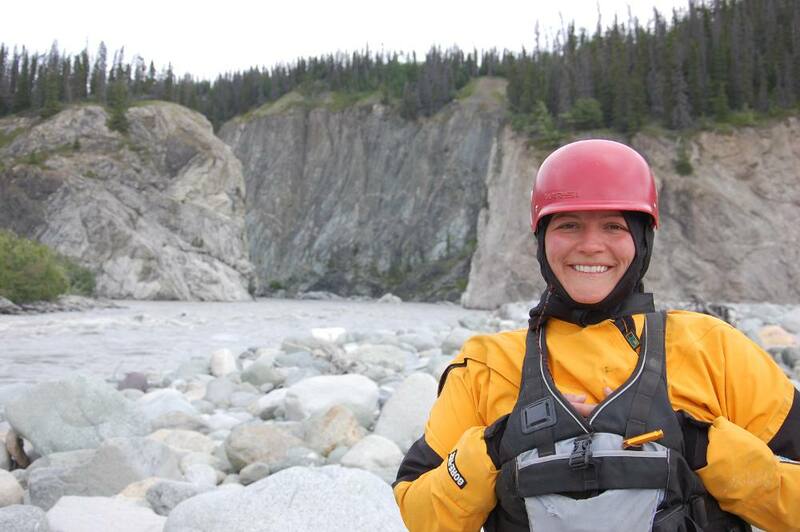 On day two the sheer power of the river meets us, enjoy the ride as your guide expertly rows you thru the big waves or if you like, we’ll bring a paddle boat along and you can enjoy the ride while digging your paddle into some of Alaska’s premier whitewater. Fly out at Jake’s Bar Airstrip after the Tana merges with the Chitina River or continue on down stream, for a few more days on the river, to the confluence with the Copper, the Tana trip is THE BEST! 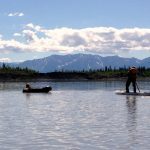 The upper stretch can be done in three to four days, ad another day or two to continue on to Chitina. How does the Tana River Compare to the Colorado River through the Grand Canyon? What a great question! Read our blog that compares these two mighty rivers – the Tana and the Colorado – to understand how the rivers and trips are alike and different. Wildlife and scenery, visitation (think crowds), whitewater big volume and number of rapids vs calm water, food, comforts and more are compared on these two world class trip. Beat the crowds to this Whitewater Gem! 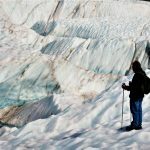 It is a truly unique time to be on the Tana, the crowds are nowhere around, the scenery is pristine and the possibility of not seeing another human for the duration of your trip is quite possible, if not likely. Come join us on this gem before it is “discovered.” Our guides are the best in the business and will make sure you have the time of your life! My wife and I, along with 6 other friends used McCarthy River Tours & Outfitters for an epic river trip down the Tana this July! Nik Merlino, the owner/operator of MRTO is a gracious host and is very knowledgeable about the McCarthy/Kennecott area and its numerous rivers. 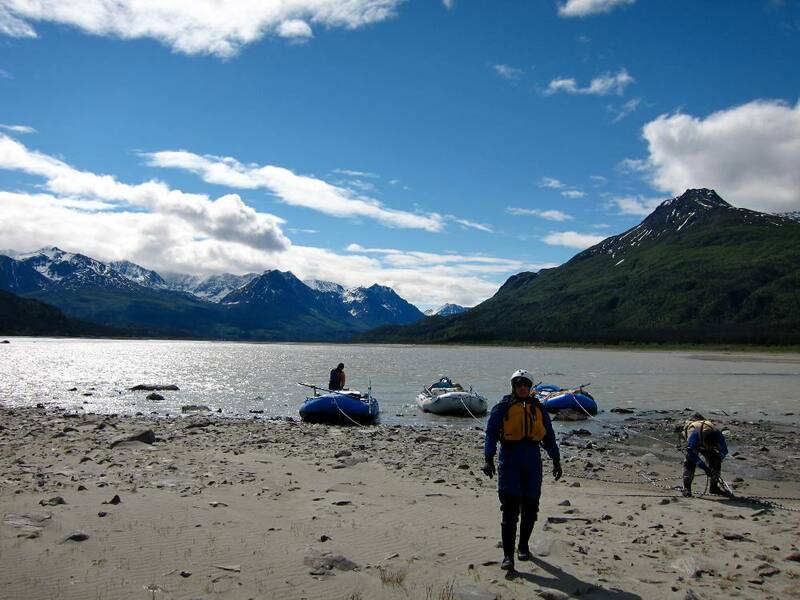 Everything from the rafts, to the top of the line drysuits, make river running in Alaska incredibly comfortable. I cannot recommend this company enough. We’ll definitely be back! Group Trips Launching July 8th & August 7th, 2018. Custom Dates Also Available, call us @ 907-302-0688 to inquire. ~ Bush Plane flight to Put-In with some of Alaska's premier pilots. 4 Day includes Bush Plane Pick-Up as well. 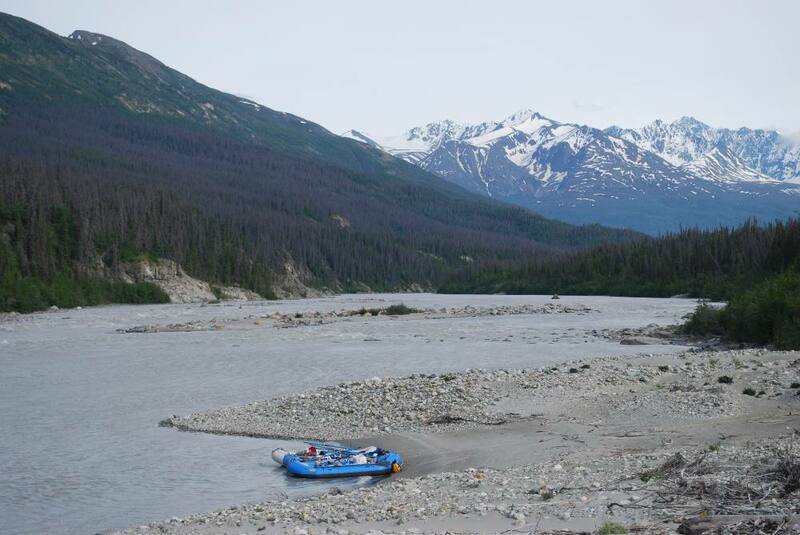 ~ Alaska's best undiscovered glacial whitewater. Class IV Grand Canyonesque waves and drops. ~ Immerse yourself in some of North America's wildest Mountains!